This is a momentous day that we as a management team and I in particular have been waiting for with bated breath for a greater part of this year. This, for us, is the crowning glory of the hard work we have been doing for the past two years. To have our Minister grace us with his presence and give his official blessing to what we do is glorious honour indeed. I would first of all wish to thank our Minister, Honourable Tom Alweendo, the Minister of Mines and Energy for not only his presence here today to inaugurate this building but also for his understanding and acknowledgment of what we do and his (and his Team’s) support for our endeavours. Honourable Minister, Namdia would not have risen to the heights it has done in the past two years had it not been for the support of your Ministry. As a 100% government owned entity, there is no getting away from the legal and governance frameworks which regulate our existence and the Ministry has always been at the forefront of reminding us of our role as such. I must admit, Honourable Minister that the past two years have not all been smooth-sailing. 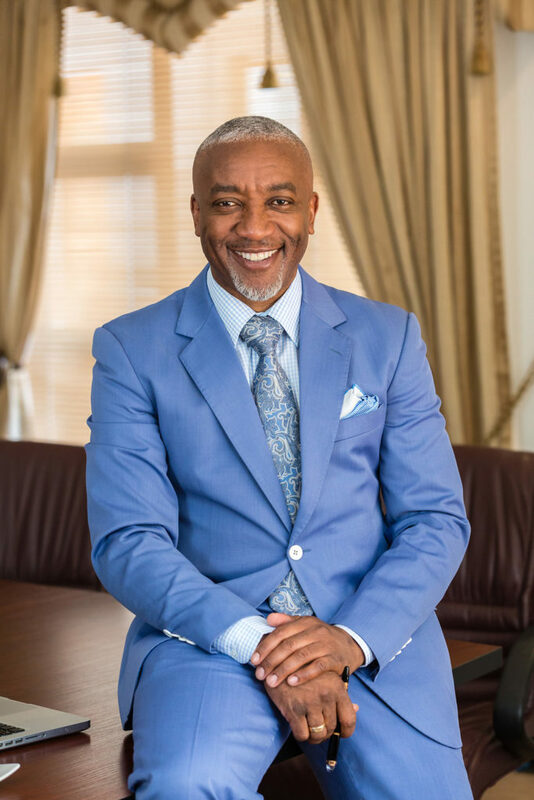 When we started our operations, we did so without a government /sovereign guarantee, and other than the initial start-up capital amounting to some N$50 Million from the Ministry of Mines and Energy there were, hitherto, no further draw-downs from the Government’s budget. This in essence meant that with each sale we had to ensure that we had enough reserves to buy (…and for those that are hard at hearing or choose not to hear the facts, let me reiterate – to buy, not to be given) the next cycle of diamonds from the NDTC. We are fortunate now that the banks have taken into consideration our good trading and positive cashflow record and have taken a leap of faith by financing our diamond pipeline without the requisite collateral. On average we receive a total amount of some 12 to 23 million US Dollars per cycle, every five weeks, ten times per year to purchase rough diamond from the NDTC. 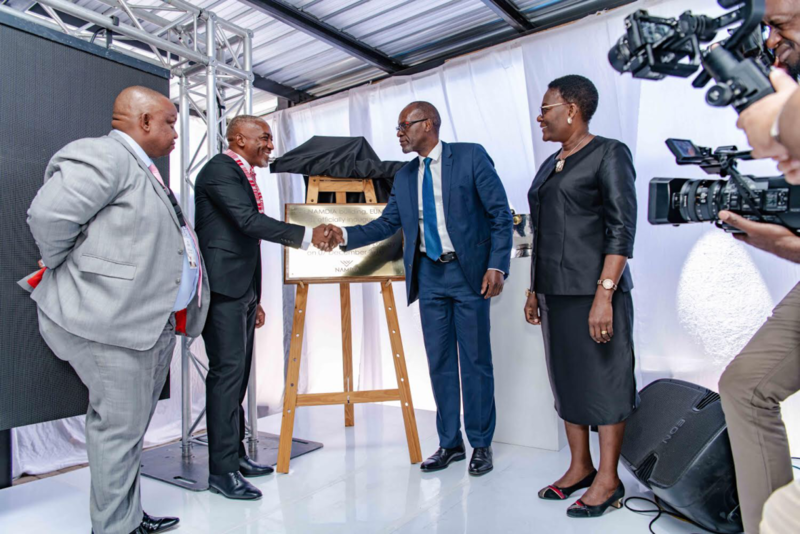 This has enabled Namdia to become self-sustaining as we have been able to build up much needed cash reserves – which further enhanced our ability to mitigate financing risks by using such cash reserves as collateral for further diamond pipeline financing. Due to the lack of a government guarantee, a hundred million Namibian Dollars (and this is set to rise to N$140 Million to enable us to extend our credit line to U$25 million available for each sight) from our profits are retained in banks as collateral but we do remain cognizant of government restraints in providing government guarantees in the current economic climate. Despite all, our total revenue for the year was almost 2 billion Namibian Dollars and we paid a total of nearly 80 million Namibia Dollars in taxes and export duties and our after tax profits amounted to 139.4 million Namibia Dollars. This financial performance is outstanding by any standard and we hope and are cautiously optimistic that this full year’s performance is an indicator of great things to come in the medium to long term. Allow me to give you a brief overview of our broader operational performance this year. We have all our governance systems in place and as we improve on our business processes and strengthen our systems; and as we exploit synergies and leverage the strengths of our business units, we hope and are confident that we will be able to maximize shareholder value in line with the noble ideas of the Harambee Prosperity Plan, the National Development goals and Vision 2030. We pledge, Honourable Minister Alweendo that we will continue to serve the shareholder – the people of this country – with the diligence and commitment they have come to expect from us and ensure that they derive benefits from the natural resources that are their heritage. Afterall the mineral resources of this country are indeed the endowment of the people of Namibia. We are only the custodians of the resource as entrusted to do so by the Government of the people. I would also wish to thank the Ministry of Finance. A key strategic finance aspect for Namdia was obtaining VAT refunds in a timely manner as cashflow to finance operating expenses. VAT refunds were paid out with sufficient promptness to finance the operations and build up sufficient cash reserves to serve as collateral for the banking facility. We thank your Ministry for your exemplary service delivery in this regard. Allow me to also thank Honourable Minister Leon Jooste for his and his Ministry’s ongoing support. Honorable Minister, (please convey our message to the Honorable) Looking ahead the market outlook is promising in the medium term and the long term supply and demand fundamentals look favourable. However, the current market conditions are less than favourable with the threat of synthetics rearing its ugly head as well as liquidity issues experienced in the Indian market as banks increasingly shy away from financing the diamond pipeline as a result of ongoing financial scandals within this market. I would be remiss if I did not thank Honorable Oberth Kandjoze and Hon. Sackeus Shanghala who played a very instrumental role in guiding, mentoring and supporting all efforts and initiatives that led to the establishment of Namdia. If you look at our Namdia logo for example, Again I must give much credit to the Office of the Attorney General for their tireless efforts to help us wrap up the Agreements. I particularly want to thank the staff from that office (Tate Chris, Festus and Yolanda – get well soon). I remember the many days we worked past midnight trying to wrap up Agreements that led to the creation of this company. I particularly want to thank Festus who came to show me this building when it was still under construction when we were still looking for a place to work from. Though I used to jog past this building every other day, embarrassingly I never noticed it. We remain cautiously optimistic going forward as experience has taught us that the diamond industry is susceptible to global economic traumas and negative cycles, global political instability and consumer confidence. And in a world that is becoming increasingly unpredictable with the looming threat of trade wars and global macro-economic volatility, we cannot rest on our laurels or be complacent. We will, however, keep abreast of the changing dynamics in the local and international environment so that we are better able to mitigate potential risks to our business. On an ongoing basis Namdia has to acquire intelligence on political, diplomatic, and legal developments globally. For example, anti-trust changes in the EU, Brexit negotiation outcomes, on-going trade wars, and movements in taxes and subsidies instituted in competing diamond producing and trading nations. In a highly secretive industry, “insider” knowledge and access not yet enjoyed by Namibia is key. And therefore Honorable Minister we aim to be your trusted and authoritative source of intelligence information on all things diamonds in the midstream to the downstream part of the pipeline. After all, we are in fact an appendage of our shareholder – and therefore it is only fitting that we safeguard the interests of our shareholder and there is no getting away from that. Namdia has sold to some of the most discerning and valued buyers from some of your countries. Their confidence in our processes, underpinned by regulations as enshrined in the Kimberley Process Certification Scheme and their desire to buy diamonds of the highest gem quality has sustained us thus far. We hope to continue this relationship going forward and expand our buyer-base to other destinations in the new year. Beyond the Kimberley Process with which Namibia is already familiar, there are numerous global trade bodies and increasingly, sovereign governments (such as Russia, India, Angola, South Africa, Botswana and the EU) are directly involved in setting , monitoring, , and or supporting the terms of the international diamond trade in one form or another. Namibia as a direct seller through Namdia understands that we have to integrate legally, diplomatically, strategically into, and manage dealings with, these various constellations. I would not leave this stage without giving a word of appreciation to both the Government Negotiating Team and the Government Task Team. GNT please stand up quickly. And now the GTT. By virtue of your learning and experience curve during the protracted negotiations and also by virtue of your interactions and visits throughout the pipeline globally and locally you upskilled yourselves and gained valuable insight into a very opaque business which rendered the core group a potentially valuable asset in nurturing this infant venture in a way that is viable and sustainable for the long run and that it quickly fulfils its potential of becoming a significant strategic and financial asset to the state and most importantly to the long suffering people of this brave nation. A big thank you to the Protected Resources of the Namibian Police – that is the diamond police as well as well as the State Security Agency for their valuable directives that helped us ensure that this building is designed and protected in a manner that safeguards the resources of the people. You are much appreciated. We would also wish to give a word of thanks to NDTC, its CEO, Management team and staff for the service it has provided for us in the past two years. And I saved the best for last, to our distinguished Board members. Those of us who work with you on a regular basis know how much effort you put into making this a great company. The oversight and guidance is valuable to the management and staff of this company. We thank you for giving us directions when we go astray, for coaching us when we lose sight of the bigger picture, and for motivating us when others are trying to discourage us with negativity. We treasure your wisdom and appreciate the contribution you make to this company by sharing your knowledge and skills for the benefit of the Namibian people. Sincerely let me reassure you that you are appreciated by management and staff. Every one of you. And also a word of thanks to members of the media here today. I have said this before and would wish to say it again. After what started as a rather rocky relationship, I am glad that we can get to know each other better and establish a mutually beneficial working relationship going forward. You fulfill a vital role in our country’s socio-economic development as the “fourth estate” upon which all effective democratic governing systems are build. You remain a vital tool in distributing information of public interest to society in the most objective and non-partisan manner. And although we may not always agree on reports by some of your members, we respect your role in information dissemination. We trust that going forward, we can continue to forge mutually beneficial working relationships build on mutual respect. And we trust that NAMDIA will henceforth remain your first, foremost and most authoritative source of information on any matter relating to its operations. With those few words, I thank everyone present here today and wish you a blessed weekend and a pleasant Christmas season with your loved ones. May you all come back in one piece and may the almighty God protect every one of us. May 2019 bring renewed hope and rejuvenate us all to face and overcome the challenges it will, without a doubt, bring to the fore.